Jennifer is a Partner of Anaford, a law firm she co-founded in 2010, and co-heads the Spanish practice group. She specializes in international taxation for wealth-owning families, family offices and corporations. 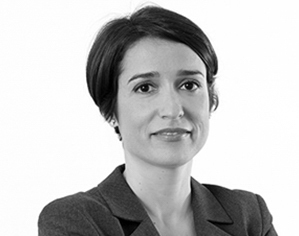 Her practice focuses on wealth restructuring transactions for both individual and corporations with connections to Spain. She has large experience in designing cross-border succession planning combining both civil and common-law traditions. She regularly provides tax advice to entities within the wealth-management industry, such as financial entities insurance companies, asset managers, family and business services providers. She also has proven experience in the field of life insurance, banking financial products and tax reporting.